I've been getting a lot of questions recently about Paul Hollingshead and the Barefoot Writer's Club (part of American Writers & Artists Inc., which sells courses that promise to help you "Learn How You Can Become a Six-Figure Copywriter"). To be honest, I've been hesitant to write this post, because Barefoot/AWAI advocates are vigilant about responding to discussions of their products, and likely will show up here to extol the virtues of the program (to see what I mean, take a look at this long-running discussion on Writer Beware's Facebook page). But judging by how often writers ask me whether the Club is worthwhile and/or legit, it's pretty active in soliciting members--and I think it merits a caution. 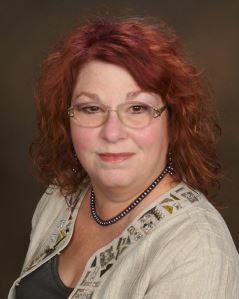 The Barefoot Writer opens the door to the world of paid writing opportunities. You’ll read about ways to dramatically improve your lifestyle as a writer — for the better. Fascinating projects … luxurious lifestyle … inexpensive ways to get up and running, fast. Rewarding writing exercises. A community of supportive, like-minded writers. Ways to let your imagination and creativity soar. No, you don’t have to be rich, or even have a degree to enjoy a dream lifestyle as a writer. The Barefoot Writer shows you that all you need is to be pointed in the right direction to appreciate all the writer’s lifestyle has to offer. To reap these astounding benefits, all you have to do is join the Club. The cost? Just $49 (but hurry! This is a "limited time price offer that may end at any time"). Your payment gets you a subscription to 12 issues of The Barefoot Writer's Magazine...and wait, there's more! You also receive access to several free Special Reports with titles like "The Secret of the 1-Hour Work Week" and "The $500 Email Secret." So where's the harm, you may be wondering? $49 isn't a huge amount of money. If you're looking to transition to full-time freelance writing, or to supplement your income from your existing job, mightn't The Barefoot Writer help you improve your skills and learn some worthwhile things? Ah, but what if The Barefoot Writer's Club isn't so much a how-to-write-better club, or a how-to-learn-about-great-writing-opportunities club, as a how-to-get-you-to-buy-more-stuff club? No sample issues of The Barefoot Writer's Magazine are available online, so I couldn't check it out. But I did download the "FREE Guide to Barefoot Writer Living" advertised on The Barefoot Writer's homepage, and it's little more than an advertorial for AWAI copywriting and other courses. Ditto for The Barefoot Writer blog, where nearly every puff-piece post ends with a pitch for an AWAI workshop, course, or other product (even if the post purports to be about something else). And now that AWAI has my email address, I'm getting a email every couple of days urging me to buy an AWAI product. Is it a stretch to suppose that the magazine is more of the same? The Barefoot Writer's Club, in other words, belongs to the category of enterprises that are designed to sell you things under the guise of helping or instructing you. The Internet is rife with such schemes: "experts" offering courses or webinars that are really vehicles for pimping their own products, "authorities" whose only claim to knowledge is that they've written whatever ebook or coursepack they want you to buy. There may or may not be useful information involved--but the information isn't the point. These are commercial enterprises, and their primary goal is to make a profit--from you. As for the American Writers & Artists copywriting courses, there are mixed reviews online. Many of the positive reviews read a lot like AWAI's own promotional material, which suggests they should be taken with a large grain of salt. Somewhat more critical reviews can also be found, such as this one and this one; and this discussion thread includes a number of comments--both satisfied and not--from people who've actually used some of the courses. The general consensus seems to be that the course materials are solid overall (though not everyone agrees on this), but that they're aimed at beginners, include some padding, and require a substantial investment of time and energy if you want to get the most out of them. Some users also report being aggressively solicited to buy other AWAI products. What's lacking in all these discussions and reviews is persuasive evidence that AWAI's florid promises of high income and a leisurely lifestyle actually materialize for the average customer. When you try to pin AWAI boosters down on this issue--as I did in the discussion on Writer Beware's Facebook page--they tend to change the subject or avoid specifics. People who really do write for a living know that it's a hardscrabble life that doesn't allow for a lot of poolside lounging. I don't doubt that there are some people who've parlayed AWAI courses and their own hard work into profitable careers--per many of the testimonials on the AWAI website--but I see nothing to suggest that they are anything but outliers. If something sounds too good to be true...it probably is. 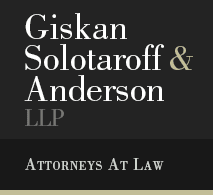 In April of this year, the law firm of Giskan Solotaroff Anderson & Stewart filed a class action lawsuit against Author Solutions Inc. (ASI) and its parent, Penguin Group, on behalf of three plaintiffs, alleging breach of contract, unjust enrichment, various violations of the California Business and Professional Code, and violation of New York General Business Law..
My blog post about the filing, including the full text of the initial Complaint, can be seen here. Not surprisingly, ASI and Penguin filed a motion to dismiss. On July 19, Giskan Solotaroff filed an Amended Complaint, which can be seen here. Another motion to dismiss will surely follow. But as it looks now (per court documents, all of which can be accessed via PACER), even if the motion is successful, and/or Penguin/ASI gets the class allegations tossed, two of the breach of contract claims against ASI will go forward. EDITED 10/13 TO ADD: Mark Teppo has confirmed that Jason Williams has resigned from Resurrection House. 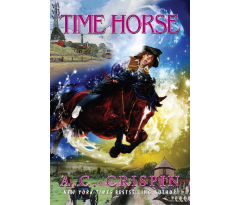 I had this post ready to go on Friday, but it was pre-empted by news of Ann Crispin's death. I was considering letting the blog sit silent for a week--but in light of the fools and trolls who are dreaming of Writer Beware's demise, I've decided to carry on as usual. It's what Ann would have wanted. A brand new publisher has hung out a web shingle: Resurrection House. As of this writing, its website is pretty bare: a single page with a mission statement, a call for submissions, and a link to a cryptic YouTube video. As yet, no books have been published; there's also no information about staff. You can't even tell what genres Resurrection House is interested in. I always advise authors to be cautious about approaching a brand-new publisher. There's a high attrition rate among new small presses, and it's really safest to hold off on approaching them until they've proven they can operate without getting backlogged or running out of money. In practical terms, that means waiting at least a year after the press has started issuing books. This also gives you a chance to assess quality, and to get a sense of how (or if) the publisher markets its list. And it allows time for complaints, if any, to surface. Also a concern: a publisher that doesn't disclose its staff. If you don't know who owns the publisher and who works for it, how can you determine whether they're experienced and competent--or, worse, have ties to questionable ventures? Inexperienced staff is a major reason for publisher death. And a publisher that crashes and burns under one name may start up almost immediately under another. In this case, a little Googling quickly discloses that Resurrection House's owner is author Mark Teppo. Teppo has industry experience, which is certainly an encouraging sign. What Google won't tell you is that Resurrection House has another staff member: Night Shade Books founder and publisher Jason Williams. (Though Williams' involvement with Resurrection House isn't publicly disclosed, Writer Beware has seen a message posted by Teppo to a mailing list for Night Shade Books authors.) If that name doesn't ring a bell, here's a bit of background. Mark Teppo has stated that Jason Williams will be working with Resurrection House only as an employee, with the title of Acquisitions Editor, and won't have a hand in running the company. By all accounts, Williams is a talented editor. Still, even as an employee, his association with Resurrection House is a data point that writers should have the opportunity to factor in to their decision to submit. I don't think I'm alone in finding it troubling that Teppo is holding that information so close to the vest. If you're a SFWA member, Resurrection House is also being discussed in the SFWA forums. I'll write a memorial for her later on--right now, I don't have the words. In the meantime, Tor.com has posted an obituary. Please honor Ann's memory, and her work, by reading her books and spreading the word about Writer Beware. I've been hesitant to make this post, but it's time. I want to thank you all for your good wishes and prayers. I fear my condition is deteriorating. I am doing the best I can to be positive but I probably don't have an awful lot of time left. I want you all to know that I am receiving excellent care and am surrounded by family and friends. I wish all aspiring writers the will to finish and a good contract. Please continue to monitor Writer Beware and be careful who you sign with. 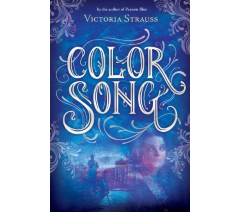 Victoria Strauss and Richard White are there to help. I've asked Michael to collect and read me your messages. As I don't know how things will proceed, I don't know if I'll have the strength to post on Facebook again. Though I've known for some time that this moment was coming, it doesn't make it any easier. 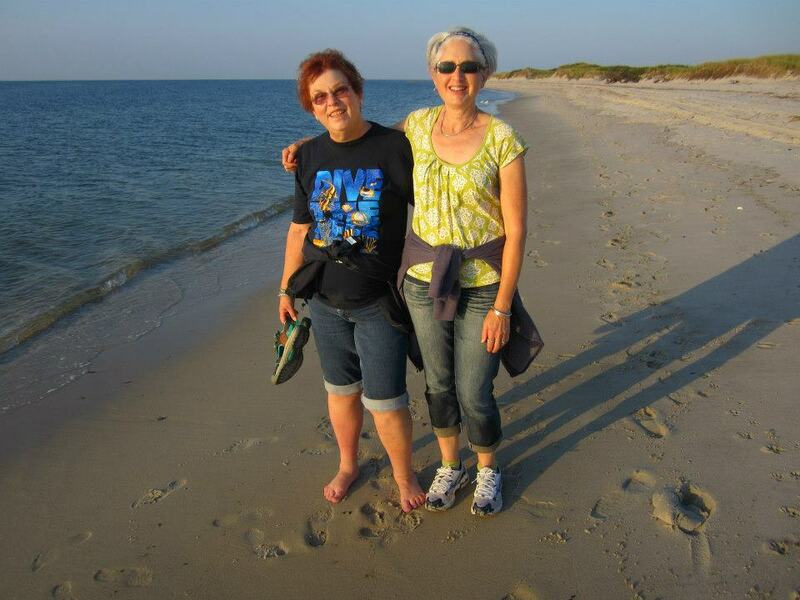 This photo, taken last September during a wonderful Cape Cod vacation, is how I'll remember my best friend. To send a message to Ann, post a comment here or on her Facebook page.